Welcome to Jesus Christ Prince of Peace Parish. 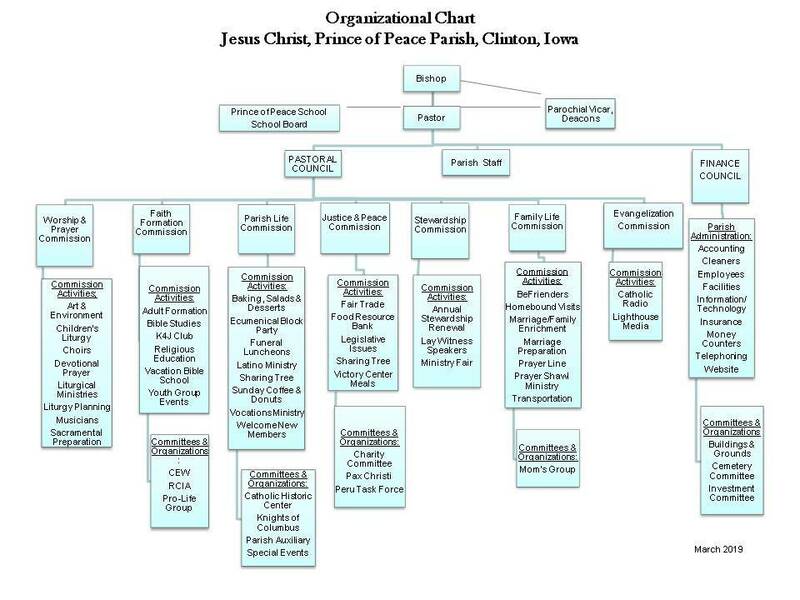 Most people in Clinton, incliding parishioners call us "Prince of Peace". If you&apos;ve recently moved to Clinton, you&apos;re probably unfamiliar with Prince of Peace Parish. You&apos;ve probably seen our Home page with Mass times, and if you have school age children, you may have looked at our school web site. If not we invite you to do so, and we also invite you to fill out a New Member Registration form. You may find the form on our "Useful Forms" page or click here to be taken directly to the form. One of the best ways to get quickly integrated into a new parish is to become active in at least one of our many available ministries. To see all the opportunities to serve that are available at Prince of Peace check out our Listing of All Ministries under the "Ministries" heading. Your best source of further information is the Contact person listed for each ministry. If for some reason that person cannot be reached call the parish office at (563) 242-3311. Any one of our friendly staff will do their best to answer your questions.